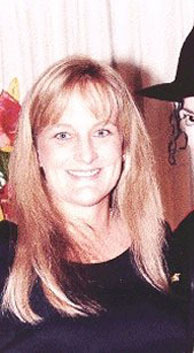 Former dermatology nurse, Debbie Rowe met Michael Jackson treating his skin conditions. While they were actually married, they never shared a common home. It is widely believed that their offspring were created via artificial insemination at the Los Angeles Fertility Institute. It is also believed that their two children are not biologically Michael's, though the pop star insists they are his. In 2004 Rowe sought their temporary custody, according to reports in News of the World. On 27 April 2005, Rowe was called to testify in ex-husband Michael Jackson's child molestation trial, likely over insinuations that an interview she gave (aired during the fallout period after Martin Bashir's damning Living with Michael Jackson special) was heavily scripted. Under oath she testified that she had lied during the interview, though she was not forced, and that she had not seen her children in three years.